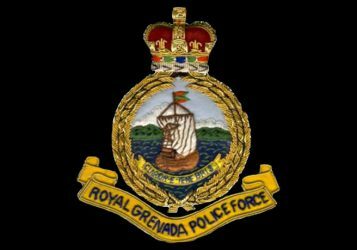 Acting Commissioner of Police Winston James was amongst seventeen Commissioners of Police who attended the 28th Annual General Meeting and Conference of the Association of Caribbean Commissioners of Police (ACCP) in Bermuda. The Commissioners looked at ways in which the flow of illicit weapons to the region can be stopped and also committed themselves to the sharing of all crime scene ballistics data secured in their respective countries, as well as the securing of trauma kits for police vehicles in the region and training for every police officer in its use. Other topics of discussion included community and police anti-gang initiatives, collaborative approaches to criminal investigations, digital solutions for law enforcement, witness protection, intelligence gathering and sharing information throughout the Caribbean region. ACCP members include Anguilla, Antigua, Aruba, Bahamas, Barbados, Belize, Bermuda, British Virgin Islands, Cayman Islands, Curacao, Dominica, French Antilles, Grenada, Guyana, Jamaica, Montserrat, St. Kitts, St. Lucia, St. Maarten, St. Vincent, Suriname, Trinidad, Turks & Caicos and the United States Virgin Islands. A new Executive Committee was also elected at the Conference.